Irma Stern was born in 1894 in Schweizer-Reneke, Transvaal. She studied in Weimar and Berlin and had her inaugural exhibition in Berlin in 1919. On her return to South Africa, equipped with influences from German expressionism she had her first exhibition but that was dismissed as "immoral" and became subject to police investigation. Although she is well known for her oil paintings, she has also worked as a sculptor whose portrayal of African people gave her white counterparts insight into the African ways of life. In 1927, Irma won the Prix d’Honneur at the Bordeaux International exhibition and in 1929 she became the sole selector for the South African entry to the Imperial Institute Exhibition in London. In 1960 she won the Peggy Guggenheim international art prize followed by the Oppenheimer award on “Art in South Africa” in 1963. She was also awarded a medal of honour for her paintings by the Suid-Afrikanse Akademie vir Wetenskap en Kuns in 1965. She died in 1966, while plans were being made to exhibit her work at the Grosvenor Gallery in London. The exhibition was mounted post-humously in 1967. Irma was one of the most important artists to be produced by South Africa, her work can be seen in major South African embassies throughout Europe and her house in Rosebank (Cape Town) has been turned into the Irma Stern Museum. 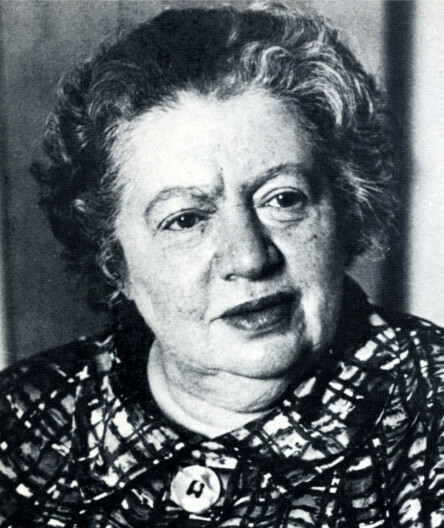 Irma Stern is still considered to be South Africa’s foremost artist in terms of public recognition and the record prices that her works fetch at an auction. At first misunderstood for her highly individual and Modernist style by the conservative and shockable public of Cape Town, she gradually won acceptance and eventually acclaim. Her strong interest in portraying black people was also a point of public controversy, especially in the 1930s. Deeper scrutiny of this aspect of her work has occurred in the past 15 years in the light of developments in feminist and gender studies, and the new post-colonial discourses. Many of Stern’s paintings of people from other cultures are concerned primarily with the culture rather than the individual. The essence of the person studied becomes a generalisation for the society because, although the painting is created from contact with particular models, Stern interprets according to a mental construct about the culture of origin. Thus many of her portraits are ambivalent, presenting both stereotypical and individual characteristics. It was a shock to me to see how the natural picturesqueness of the native in his kraal had almost disappeared ”¦ Today he has submitted to civilization ”¦ he wears Everyman’s clothes and boots. He looks odd and drab in this garb ”¦ to those of us who saw the beauty of the native in his natural state the change is sad. The ‘sad change’ in the conditions of ‘native’ life that Stern complained about were the direct result of the unfolding impact of colonialism in southern Africa. The destruction of her fantasy of the ‘unspoiled’ and ‘natural’ life of her African subjects resulted not in indignation on behalf of the very same ‘natives’, but at the disruption of her needs as an artist. It is at this moment, as Marion Arnold notes, that she begins to look northward to Zanzibar and the Congo for new sources of the unspoiled and the exotic. She is little concerned with the native away from his natural surroundings. She has not yet seen the proud Zulu as kitchen boy, the joyful Swazi broken in spirit as he emerges from the bowels of the earth, the mighty Basuto as a beast of burden ”¦ we may hope that greater work will emerge from her brush should she turn from the maidens of Pondoland to the hard-worked girls of District Six of Cape Town, from the green hills of Swaziland to the Mine Dumps of the Witwatersrand.